The vision, way back in 1858, of Rev. Joseph Rippon (a great uncle of Rev. 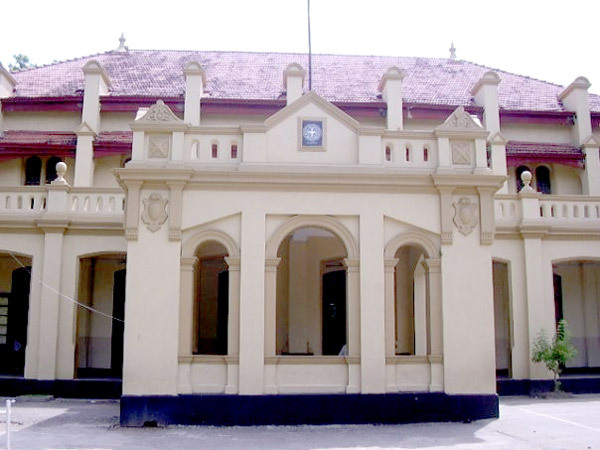 Henry Highfield) was the establishment of a superior educational institution for the Wesleyan Methodist Mission in South Ceylon. On March 2, 1874 (the death anniversary of Rev. 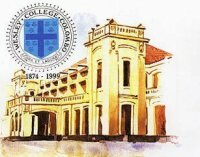 John Wesley) Wesley College was founded in the City Mission Buildings at Dam Street, Pettah Sri Lanka. Wesley's first Principal was Rev. Samuel Wilkin and first Vice Principal, Rev. D. Henry Pereira. This Methodist Institution was envisaged to be a distinctly Christian college, providing a high standard of secondary education. 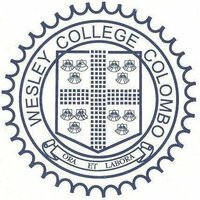 From 1874 onwards, Wesley College has consolidated her position as a premier Christian educational institution in Sri Lanka. The Wesleyan Missionary Society of London, conceived the idea of founding and developing an English school. Pereira's students formed the nucleus and so on 2 March 1874, with the Rev. S. R. Wilkin, Wesley College, was founded. Wesley College, with an Englishman at the helm, in those spacious colonial days was became instant success. Students overflowed, parents kept knocking at the doors - for Pettah was also a residential area then. Between the years 1874-1895 there were six missionary principals. It was in 1895 October, when Wesley was 21 years in existence that the Rev. Henry Highfield, M.A Cantab, arrived as Wesley's 7th principal (1895 -1925). This man of vision worked relentlessly to provide Wesley with a place fit for study, and so we take a leap to the year 1906 when the present new Wesley College was opened. Highfield's contribution is legendary. Known as the Saint of Karlshrue, he prayed and labored on for 30 gruelling years, leaving Wesley at the pinnacle of success both in the academic sphere and sports. Since Highfield, Wesley has had 12 principals. The Rev. James Cartman was the last of the missionary educationalists. Cartman was a man of grit, tenacity and what is more he was industrious. He rebuilt Wesley after World War II from the debris and the back lash of the war's ravages, reinfusing the Wesley spirit and boosting morale. Cartman walked in the footsteps of the great Highfield and certainly was Highfield's near equal, developing great sports and studies and extending the accommodation of the College. Post war Wesleyites owe James Cartman a deep debt of gratitude. His war cry Zam, Zam, Zakay re-echoes on match days and sports events. Wesley's 19th principal M. A. P. Fernando, a hard-core Wesleyite, who shone both in studies and sports in Wesley, spent 30 years in the field of education, and was closely involved in education, the Methodist Church and its activities. Administrating a college of the high caliber such as Wesley, is no easy task today but to a dedicated and loyal old boy as Mr. M.A.P Fernando, with his capacity and competence, the task of leading and guiding Wesley to the upper rungs towards the millennium, arduous though the task may be, is well within his scope. His vision is to build on, as he draws from those selective fruitful years of the past and re-awaken enthusiasm in all spheres at Wesley. Today at Wesley cricket, rugger and other spotrs have begun to come to life. M.A.P. has inculcated and generated a spirit that makes these young stalwarts of Wesley realize that they do matter and are the valuable assets of Wesley. M.A.P. Fernanado is reaching out to both staff of both and students to establish their value and potential, thus instilling a new heart and spirit to enable them to even do small things in great way: this is no doubt a welcome feature, and one of his many facets. The principal needs the assistance of his staff of both loyal men and women who can shine in their allocations, the sustained dialogue of parent and well-wishers, as Wesley looks up to her almuni, sojurning in many parts of the world and here, for their continuos support for Wesley to excell.Wesley's welfare is certain to be deep in the hearts of her old boys, who are no doubt keen, to repay today, for what they were privileged to have yester years. Then, principal M.A.P. Fernando's vision for a brave new Wesley for tomorrow will be a reality - as he sows for a rich harvest in his time no doubt, to be garnered by the ages to come. At Wesley college we inspire our students to achieve standards of excellence.Our expectations are high and Wesleyites will always be united, loyal, honurable and persevering. Wesley will impart a sense of responsibility in students to society, country and indeed on a global scale. Wesleyites will aim at holistic education, enabaling them to interact, negotiate and live with their fellow beings in amenity. At Wesley we are committed to principles of equal opportunity where each student is able to reach his full potential. We believe that tolerance, fair-play, and respect for the views of others are shared values that have enabled the College to build a community which practices social, justice, human dignity and eniviromental well being. At Wesley, we pay high regard for alumni in all parts of the world and we continue to pray as we indulge in challenging tasks.